We believe we offer the Gold Standard in Pre-Paid Funeral Plans. 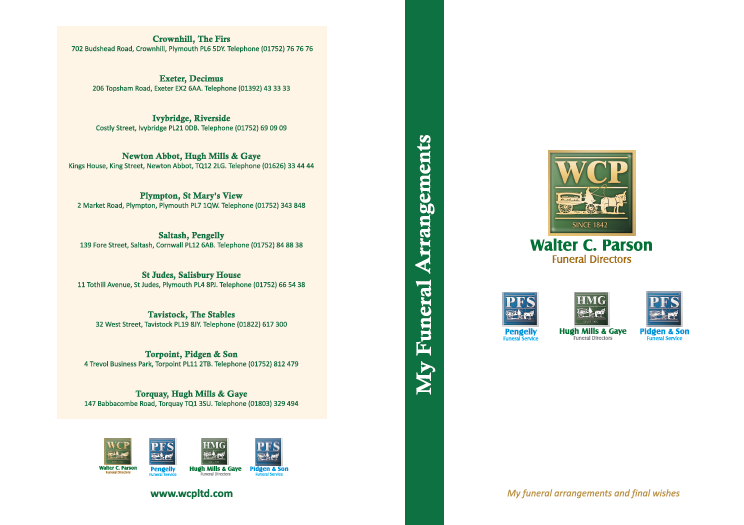 The Walter C. Parson Group offer one of the few plans on the market today which guarantees to cover the funeral and all cremation fees completely. 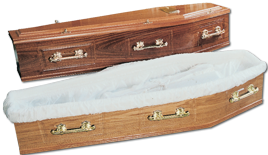 By purchasing a plan today you guarantee tomorrow’s funeral at today’s price. Most other plans only offer a contribution towards any third party costs, meaning that there will be additional fees to pay when the funeral is required. Our funeral plans are not the least or most expensive to buy, but guarantee peace of mind that all fees are taken care of when it becomes necessary. You can choose your own funeral arrangements for your own peace of mind. All options are clearly specified with fixed prices, or you can choose a personalised plan with every detail exactly as you want it. 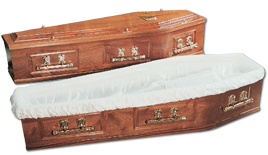 Avoid rising funeral costs with our guaranteed funeral plan. Financial security: the funeral payment is held securely until it is needed. The service will be provided by Walter C. Parson. There is no age limit and there are no awkward questions. You can make a single payment or pay by monthly instalments – whichever suits you. You can cancel your plan if you are not satisfied. 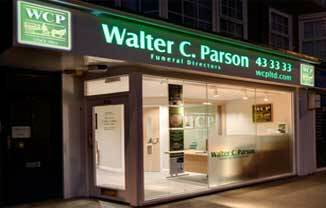 These are the reasons why we can say that The Walter C. Parson Group offer Gold Standard Funeral Plans. For a full information brochure and application form, please make contact with one of our offices by telephone or e-mail. You may also wish to make a note of your final wishes such as where you would like your funeral service to take place and the music which you wish to be played. Please click here to download your free copy of our My Funeral Arrangements booklet which provides a template for you to do so. Alternatively, please make contact with one of our offices and we would be pleased to post you a copy, free of charge. This is a basic funeral designed to provide the essential requirements with the minimum of ceremony, and is subject to change at our discretion. Prices current at time of going to press on 1st April 2019. Please note that you can clear the outstanding balance at any time you wish, in which case the total price may be reduced. Instalment amounts are calculated to the nearest penny - total prices quoted may vary by a few pence because of rounding. For a cremation the disbursement costs of each plan include: fee for the crematorium, doctors' fees for a cremation certificate and the usual ministers fee (as recommended by the BMA and CoE). If any extra fees are charged for an organist, church heating, doctors' or clergy's travel etc, these would be payable at the time. For a burial, each plan includes a contribution towards the burial costs, equivalent to the current cremation fees. A funeral is a very personal matter and many people have particular wishes. If none of our traditional plans, which are designed around cremation, suit your requirements then please let us know and we will prepare a personalised funeral plan just for you, allowing you to choose whatever services you require. and anything else which personalises your funeral. 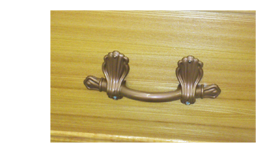 We can keep a record of your requirements on file in our office for future reference.